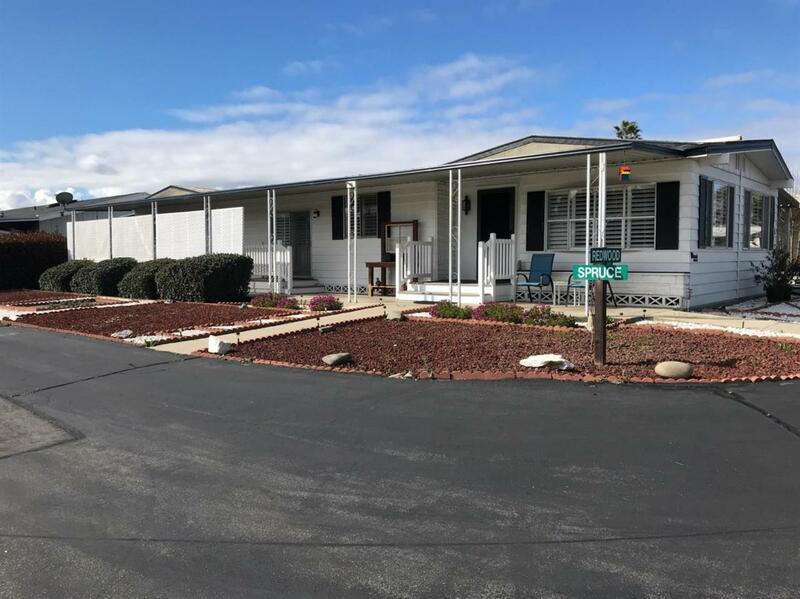 Live in this lovely home in the Kings River Mobile Home Community, a Senior Gated park. Upgraded unit, granite counters, some hardwood floors, plantation shutters. Master suite with large corner tub and wall of closets. Move in ready, a must see.